Xiaomi launched three Redmi phones recently in India — Redmi Note 7, Redmi Note 7 Pro and the Redmi Go. However, the launches aren’t over yet and if leaks are to be believed, Xiaomi may launch three more phones this year in India. As per the tipster Ishan Agarwal, Xiaomi is planning to launch Redmi 7, Redmi 7A and the Redmi Y3 in India soon. According to Ishan, Xiaomi will first launch the Redmi 7 and then Redmi Y3. Not much is known about the launch of Redmi 7A. To recollect, Redmi 7 has already been launched in China. Redmi 7 comes with an octa-core Snapdragon 632 SoC paired with up to 4GB of RAM, 4,000mAh battery that cn be charged using a 10W charger. The phone has a 6.26-inch LCD HD+ display with screen resolution of 1520×720 pixels and an aspect ratio of 19:9. The camera module on the Redmi 7 includes a dual camera setup on the back with a 12-MP sensor and an 8-MP sensor. For selfies, the device has a 8-MP camera and a lot of AI features. The Redmi 7 comes with a gradient finish and waterdrop notch on the front that includes the selfie camera. The bezels on the sides are also slimmer compared to the Redmi 6. 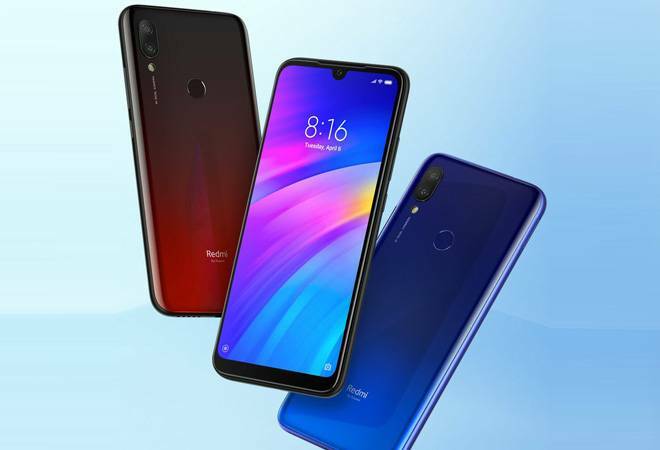 As far as pricing is concerned, Redmi 7 was launched in China for a starting price of 699 yuan which roughly translates to around Rs 7,000. Meanwhile, the Redmi 7A was spotted on 3C certification site in China in December. Similarly, Redmi Y3 hasn’t launched yet, but was spotted on Wi-Fi Alliance running on Android Pie.